You can’t deny it. Exogenous ketones are one of the hottest products on the market right now, especially for those interested in ketosis and the ketogenic diet. But what exactly are exogenous ketones, and what do they offer? We’ll dive into that in this in-depth guide about how to benefit from supplementing with exogenous ketones. If you are new to ketosis and don’t know much about it, it is a metabolic state, where your body preferentially uses ketones (instead of glucose) for energy. This can lead to a host of different health benefits. If you’d like to learn more about ketosis, what ketones are, and how to benefit from these, feel free to read through our guides: What is Ketosis? What is the Ketogenic Diet? What Are Ketones? If you’ve read our guide, What Are Ketones, you’ll know that there are three different types of ketones your body can make in the absence of carbohydrates, typically from stored fat. However, there are ways to get ketones easily from exogenous (outside of your body) sources. If you’re a normal person but you’re generally following ketosis, there are often times when you eat certain foods or do certain things that kick you out of ketosis. If you eat too many carbs, you can take exogenous ketones to get you back into ketosis instantly instead of waiting 2-3 days. How To: Use a scoop to help transition into ketosis or to boost your body’s ability to burn ketones (and fat) as energy. How To: Take 1/2 of a serving of exogenous ketones when transitioning to ketosis. How To: Split into smaller doses of 1/3 – 1/2 scoop and spread throughout the day for 3-5 days while transitioning to ketosis. How To: Take a scoop before a workout that will last 45 minutes or longer. Take another 1/2 scoop for each hour after 2 hours of continuous work. This can be helpful for marathons, triathlons, and ultra runs. How To: Take a scoop of exogenous ketones on an empty stomach for 4-6 hours of mental energy boosts. As you can see, there are plenty of ways to use exogenous ketones for benefits. We do offer an exogenous ketone product, called Perfect Keto Base. Perfect Keto Base comes in two flavors: chocolate, peaches, vanilla, salted caramel and coffee. How do you use exogenous ketones? Any results that you are getting that could help someone else? Let us know in the comments below! Hi! I noticed I’m not sleeping well at all while taking one scoop a day. Should I be taking the scoop in the morning vs the afternoon? Hey Jennifer! There are no stimulants in this product, however it does supply your body with ready to use energy. Many supporters take this at night and even before bed for brain food while they are sleeping, but everyone is different. We suggest trying both and see how you feel! Hello, I’ve tried several different Exogenous Ketone supplements and I believe Perfect Keto may be the best I’ve tried. Thus far I’ve had Keto//OS from Pruvitt, Kegenix, KetoForce, KetoCaNa and Ketond. Out of all these brands both Perfect Keto and Ketond have been the products that hack me into Ketosis quick and for longer periods of time. Perfect Keto is less expensive that Ketones from Pruvitt mainly because Pruvitt and their Network Marketing is all about making money. The flavors of Perfect Keto are much better than Pruvitt. Could you mix this with a squirt of lemon for taste or would that counteract the ketones? Been using yur stuff for the last week and tyere is absolutely no change in the amount of ketones based on the ketone strips i use to monitor ketone levels. I use another product as well and switched back and have sustained higher levels of ketones most of the day. Is there a reason that your product doesnot produce the results based on the strip test? I am a larger guy, 260 possibly need more? I have 2 tubs to go through and am not overly optimistic about whats going on. 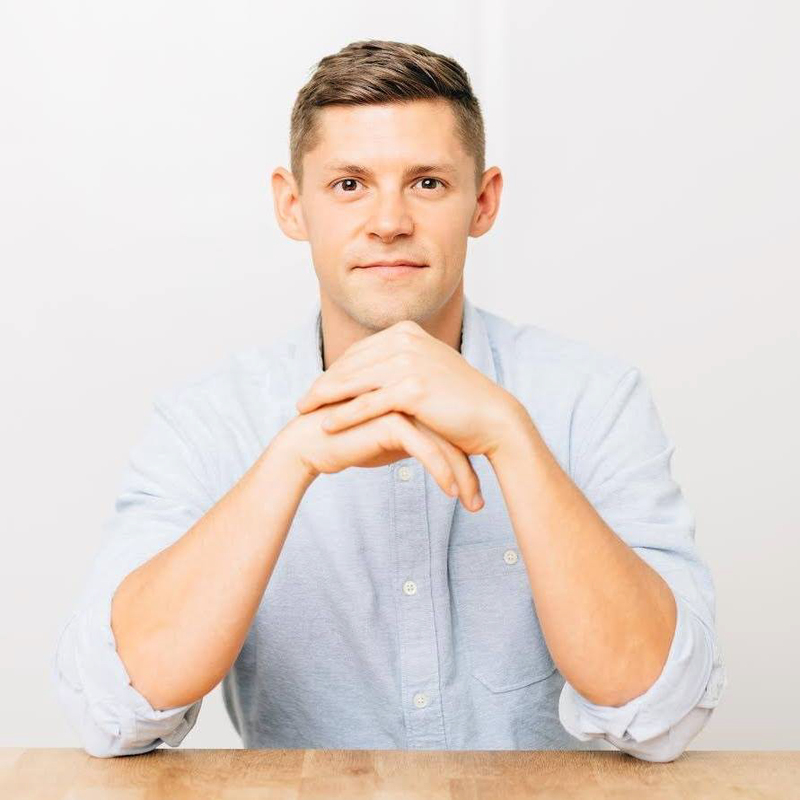 Hi Rob thanks so much, many people experience inconclusive results from the pee strips, as the ketone concentration in our pee is a measure of ketones not being used by the body. Basically the overflow or unused ketones. As our body becomes more adapted to using ketones, there will be less in our urine. It’s tough to keep the variable constant of how hydrated you are across many pee tests. Don’t be discouraged by pee test results. We have had many times where our blood tests show 1-3mmol/dl BHB but our pee test showed no results. Definitely keep testing (consider using a precision Xtra) and changing the dose to suit your needs. Hope this is helpful! Totally could! We haven’t tried that, thank you for the idea. We are big fans of adding it to ice cold almond milk or coconut milk. Hi Alan, this is great feedback. It’s a huge help to hear from someone like you who has tried pretty much everything available and tested the results. Rock on! Ketostix are very unreliable. There are many factors which can alter results such as hydration level, if you’ve worked out recently and the amount of unused ketones in your body to name just a few. Never rely of Ketostix to determine whether you are in ketosis or not. The Precision Xtra blood ketone monitor is the gold standard for testing for ketones in your body. After following a ketogenic diet for a while, you should be able to tell if you are in ketosis or not by the way you feel. Roderick – so cool to read your comment. That’s why we take the time to put out this content. You’re welcome and keep rockin it. Hi Nikki, 15 scoops come in a tub. The serving size varies quite a bit for individuals. We recommend starting with a 1/4 to 1/2 scoop and moving up from there and adjusting the time and amount to what works best for you. I have a question for hubby can you mix the keto shake with a protein powder or does it have to be separated? Totally! We love coming up with new shakes. When taking a ketone supplement do you need to cycle it (ex. 3 weeks on 1 week off) or can it be a constant dose. Wouldn’t the added protein likely interfere with ketosis? Something to test indeed. Only excess protein interferes with ketosis. For me it’s about 95g per day, for others it may be different. Can I just say what a relief to find an individual who essentially knows what theyre talking about on the internet. You certainly know how to bring an concern to light and make it critical. More folks should read this and comprehend this side of the story. I cant believe youre not more well-liked due to the fact you absolutely have the gift. is it once a day ? is it only if you ate something carby? sorry that i’m not very clear on this, but – i could use some advice? thanks! Should I be taking exogenous ketones while on a ketogenic diet? Or only when I do cardio to help with energy. Just found your site….wondering how you take the Peaches & Cream Keto powders…simply mix with water? I’m new to the Perfect Keto. I’ve been using a full scoop in the morning with my coffee. I am using it mainly to stay in keto for weight loss. I am eating flax meal and chia seed “noatmeal” with it. Should I be fasting or will I still lose weight eating low carb with it? We recommend a ¼ – 1 full scoop of our exogenous ketones mixed with 8-12 oz. of water or your favorite beverage. Chocolate Sea Salt goes well with coffee and Peaches and Cream with smoothies. Some people even make ketone popsicles! We encourage you to get creative. Great question. So if you are already in nutritional ketosis from your diet, exogenous ketones would still help raise ketone (energy) levels when you want that (maybe for focus at work or energy at the gym. They also help get you back into ketosis after cheat meals and skip the “keto flu” which is the period when your body is using up stored glycogen. Slowly ramp up your ketone intake. Be patient! 🙂 For many of us, our bodies aren’t used to running on ketones, so you can expect an adjustment period. Try ¼ scoop first. Transitioning to ketosis removes water from our bodies, so getting lots of water will help with any dehydration and stomach issues. Ramp up from there, trying ½ scoop the second week or when you feel it’s appropriate, and then try a whole scoop 1-2 weeks in. You can use it for extra energy or to help get into ketosis if you aren’t there already. Most people use it 0-3 times per day. There is something that does not make complete sense about this. I understood that endogenous ketones are produced when you force your body to burn fat…which then helps with weight loss. If you add exogenous ketones, then your body does not have to bother burning fat because it is getting the “free” ketones without having to consume any fat. So, you are likely to lose the weight loss benefits, according to some “negative” articles I have read. Also, what evidence is there that these supplements put you back into Ketosis for the long term, as opposed to merely enjoying the benefits until the supplement you ingested is burned off? I’m already following a ketogenic diet and have been fat adapted for about 3 months. Since I’m already in ketosis would this product help me or hinder my fat loss? My thought is that if I’m already in a fat burning state and then I take exogenous ketones does my body stop burning my fat to burn the ingested ketones like taking a break or does the product enhance the fat burning that is already taking place? Hi, I still a little confused about when or how to take this. I am trying to get adapted and minimize the flu. Is it most beneficial before eating, after eating, with food or in place of food? I have been keto in the past but this time I am not switching over to fat burning mode even though my macros are good. ( I am thinking it is just too many calories and carbs at this point but I get hungry!) Help please. 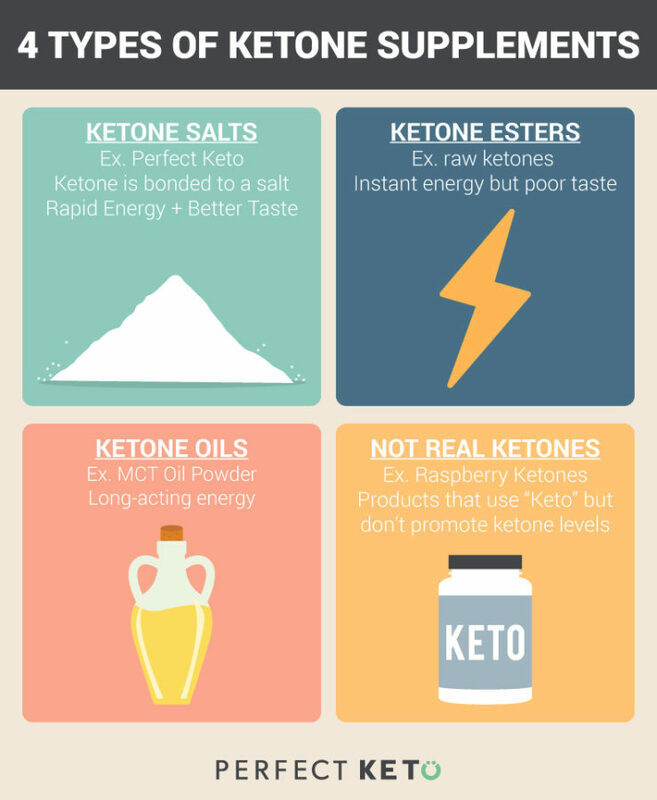 With Ketond how long did it take you to get onto ketosis? Did you also use keto max accelerator? Does the drink have to be cold? I see a lot of suggestions about “ice cold” drinks. Thank you for this informative article. I do have a question I’ve been taking phenibut recently do you know if exogenous ketones cause any problems using them together? Hi Rach, it’s all up to you. Some people even prefer their (chocolate sea salt) ketones in hot coffee. Hi, can I use this with water diet? My sister had a colleague try to sell her on exo ketones as basically a way to skip the keto diet part. I told her this is like putting high octane fuel in a mini-van, it’s not meant to by a crutch, but an enhancer. I told her it’s a waste of money to take exo ketos without actually changing her eating habits and lifestyle. Hi, I started doing intermittent fasting several weeks ago (16 hours fasting, 8 hour window for eating) and do HIIT 3 days a week before breaking my fast. I am also considering doing a keto diet and/or Perfect Keto supplement. With all these combined, is that all too much or is it safe and easy enough to juggle? Does that make sense? 2. What is the best macro ratios to go with? my goal is fat loss/muscle strength/endurance and definition increase aesthetically and improve mental and physical energy. Hi! Trying to get a little clarity. If one has a day or meal with “too many” carbs and takes exogenous ketones to get the body to burn ketones instead of carbs, how does the body handle the carbs? I’m not sure whether I am leto-adapted but have been following the keto program for about 6 weeks. The scale and the eye confirm I have been burning fat. I’ve been using ketostix to keep track of ketones as I don’t prefer to prick my fingers to get blood measurements. I have reached my weight loss goal and planning to transition to maintenance in the next couple of weeks. I’m curious if exogenous ketones will be aid in maintaining my weight. If you eat a meal high in carbs and then drink perfect keto your body is signaled to use the ketones for energy. What happens to all the excessive carbs you’ve eaten? Do they automatically get stored? Can you explain the science behind this? I have been blending a full scoop with heavy whipping cream, ice, water and MCT oil, first thing in the morning. Is this ok to do? I was thinking I could boost my fat intake while drinking Perfect Keto. It comes out like a frothy breakfast shake. Hello! Will taking exogenous ketones in the morning effect intermittent fasting? I am breastfeeding so nees to have some oatmeal in the morning, but eat mostly keto the rest of the day. Can I take this after breakfast to realize the benefits of ketosis for the rest of each day? Dusty you assume only everyone wants fat burning. I think this is silly. The brain and heart will prefer ketones over carbohydrates when both are present in the blood stream. Look at the research and mechanism. I don’t want fat loss, I want better brain function. I also regularly eat carbs myself. This is one of the reasons I myself use exogenous ketones. No this isn’t a magic fat loss powder, but don’t sit here and quote T-nation trying to rebuttal this article acting like that is a credible source. Hey there! It works differently for everyone, but probably won’t work as well if you’re eating oatmeal. Depends on your goal, but I would say if anything it would amplify the effects. Decrease the carbs and protein and up the fat then. Did you test your blood value? It probably wouldn’t do much to change your fat loss if you’re already burning fat. No this is wrong. Your body will use your own fat and any fat you eat as fuel. This counts as exogenous ketones. It won’t stop burning your fat. The same logic would say that if eating any fat your fat loss would stall and that is not true. It can help get you back into ketosis because you have certain monocarboxylic acid transporters that are upregulated when ketones are present. The evidence is physiology. I’m confused on how to use these products and which ones will benefit me. I started a low carb diet almost two weeks ago for the purpose of losing weight. I’ve lost about six pounds. Will any of these products help me? And if so, how should I take them? would it break my fast. Great information. And apparently I have found out what my problem is. I got into Keto a few weeks ago. Transitioned into ketosis after a week, and then had to travel….while I followed a keto diet as best I could, (I took your powdered MCT Oil with me and it is great), but I did fall out of ketosis. Now it’s been 2 weeks and I can’t seem to get back into ketosis. Hello! I am a 43 yrs old 5’2″ and 215 lbs female with Hashimotos disease. I have tried so many different diets, supplements and weight loss pills over the years with no good long lasting results. I am ready to try this now. Is there hope??? I am inquiring about getting a quote on your exogenous Perfect Keto product at wholesale pricing. Please include contact information. I have been a low carber for many years. And I’ve experienced all sorts of excellent health benefits plus mental clarity, for sure. I was basically an Atkins follower, but was never able to turn the ketosticks purple. So, I’m not sure if I have ever really been in ketosis. I have, though, recently been diagnosed with ovarian cancer. After reading through your blog, I noticed there was a little about Ketogenetic diet and cancer. I purchased the MCT oil powder in hopes that will help me get into ketosis for the purpose of “starving” the cancer cells. Other then focus, I didn’t see any particular format for something like this. Here are my questions: How much of the powder should I take? And do you think the diet plus the MCT oil is a good idea for 1) aiding chemotherapy and 2) helping shrink the number of cancer cells? I’m a little confused. I am depleted my body of carbs so that it will burn fat for energy. But if I supply my body with energy (exogenous ketones), my body will use that instead of burning fat. It seems like taking the exogenous ketones would be counterproductive. What am I not understanding? I just started the low carb diet and got the MCT oil powder. Is this ok or should i get the BHB too? Yes, head on over to perfectketo.com/community-facebook/ to join in the discussion of all things about keto. It’s a great place to interact with other ketonians and help each other. Appreciating the time and effort you put into your website and in depth information you present. It’s nice to come across a blog every once in a while that isn’t the same outdated rehashed information. Wonderful read! I’ve saved your site and I’m adding your RSS feeds to my Google account. Hard to say – are you still experiencing this? What are ketone levels before and after? Hi, I usually put MCT oil and grass fed butter in my morning coffee. Is there a benefit to subbing your Perfect Keto base instead of the MCT oil, besides the decrease in calories? I am looking for sustained energy, and appetite control until lunch. Thank you. True that our body will use ketones preferentially, but how the carbs will be used will depend on how much you ate, how active you are at that time, and how sensitive you are to insulin. I eat one meal a day during a one-hour window and fast 23 or more hours every day. I want to use your ketones to get back into ketosis faster after that meal. Will that work? I am confused, because say at the end of my hour eating window I drink your ketones, sure there are lots of ketones suddenly in my body but I also have a big meal in my stomach. My body has to digest and use that food energy, so how do exogenous ketones help me in that case? New member here, I am using IF from 7pm until noon each day and have the chocolate salts. I have been taking them in the am on an empty stomach for fat/wt loss – Is this wrong? What is the optimal timing for this? Should I be waiting until after lunch because the Am one is not even needed or taking 2 scoops one in am and one after lunch? Hey Lisa, if what you’re doing is working for you than I would keep it up! Lots of people take one scoop in the a.m. and one in the p.m. – just depends on your goals and schedule. Hey Staci, great to hear you’re getting back into it! To answer your question, it really depends on the individual but there are definitely things you can do to get back into ketosis faster – working out to deplete your glycogen stores or implementing intermittent fasting into your regimen – these are 2 common ways that should kick start you back in the right direction! Tera, yes there is always hope!! Keto has been proven time and time again to help people with a variety of different disorders and the research continues to emerge on the many many benefits of keto! Do you have to be on the Keto diet to try this product? Im needKetones try something to help with energy and staying focused. Ive tried B2 and B12 supplements for quite awhile with no change in either area so I would like to try this without having to make a drastic change in diet. Hey Brandy, no you do not have to be keto to try these products! Hello, I desire to get rid of stubborn belly fat. I heard about doing some HIIT first thing in the morning helps to go burn the fat since your on a fasted state but there are risk of loosing some muscles aswell so I was wondering if exo ketones would be a good supp to take in the morning before doing HIIT workout. What do you say? Remi, yep that would be a great time to take them! I have bought this and waiting for shipment. I am planning to put a scoop in to make bulletproof hot chocolate in the mornings for my breakfast meal. Would this be an appropriate use regarding timing and mixing? I’m confused whether I should eat anything after mixing this or if adding it for BPHC is enough for breakfast. Heather, I’d suggest starting with just this and your bulletproof coffee to see how you feel before adding in extra foods. This may fill you up and give you all the energy you need to start the day! Hi! My question is, how low must my current daily carb count be in order to benefit from taking your exogenous ketones? I am a 33 year old female, keeping total carbs at 100-125 grams per day. My priority is fat loss, and I do HIIT training 4-5 days a week. I’ll soon be adding in heavier strength training. I don’t function well eating less than 100 total carbs a day. Could this even benefit me? And if it will benefit me, would the befits outweigh the sodium content? I keep my sodium at 2,000 mg a day, as I’m trying to avoid water weight. I hope to hear from you if you have time! Should I already be in ketosis from a natural low-carb diet when I begin supplementing ketones can I supplement in lieu of restricting carbs? Hello! I have LADA (latent autoimmune diabetes in adults) and a few other autoimmune illnesses. I want to try a keto version of Paleo, but am worried because of pancreas and kidney problems I already have. Will exogenous ketones or ketones in general cause any organ issues I should be aware of? Do you mean Julian Bakery Insta Ketones? I was thinking of trying them, but not if they taste nasty. Does drinking too much exo ketone products reduce weight loss? I am in ketosis, eat very little carbs and enjoy 2 water bottles of BHB keto products a day. I want to make sure I am not negatively impacting my weight loss for the sustained mental energy I enjoy from drinking it. I have been in ketosis for 5-6 weeks. I eat less than 20 total carbs a day. I am losing weight, but it’s slow. Does this product have any benefit to me? FAT LOSS: Especially in the morning or between meals, ketones boost your body into an effortless fat burning mode. HEALTHSPAN: Ketones help you get into ketosis for benefits from enhanced well-being, to disease prevention and longevity. Hi Tammi! You can check our blogs regarding weight loss – How to Use The Ketogenic Diet for Weight Loss and How Fast Will I Lose Weight on Keto? What to Expect Dieting on Keto. To clarify, the past 2 weeks I’ve been taking one scoop of the Base in the morning on an empty stomach with coconut milk, cinnamon, peanut butter and ice and coffee. I traded the base for one scoop of MCT powder and 1/2 scoop of Collagen after the Base ran out. Will this help to put me into Ketosis and lose weight? Can you/Should you take (or are the beneficial to take)Exogenous Ketones if you have had gastric bypass surgery? Hi Laurie, we recommend speaking with your doctor first before you start taking any supplement. and by the way! the product you’re marketing has way too much salt – it will negate the true, natural process of any keto diet. salt will make you retain water, which is exactly what you don’t want to do, if you ever really want to lose weight! and if higher than normal blood pressure is your goal, enjoy responsibly! in fact, if you lower your overall salt intake, you will shed much more water weight in the first weeks, as mentioned elsewhere.. one of the secret cheats to get you going. drinking plenty of water and frequent urination will keep you properly hydrated – just be aware when testing with urine strips, too much water will give you a lower reading. stay hydrated, stay healthy – have fun losing the weight! I see the ingredients of the exogenous ketone powder is high Magnesium and Calcium. How is this a good thing when Neither of these should be taken together, as Magnesium inhibits Calcium absorption ? How is this a good thing when Neither of these should be taken together, as Calcium inhibits Magnesium absorption ? Hi Steve, it is magnesium glycinate and is one of the more bioavailable forms of magnesium. We’ve added calcium for increased absorption. New to Keto. Which is the best product to start with, having a difficult time determining this. Main goal is weight loss so will be incorporating with current diet and exercise regimen. Hi Kelly, all of our products are made to help support a keto diet and lifestyle. If your main goal is weight loss I would highly recommend taking our Exogenous Ketones before you do any high-intensity weight training or first thing in the morning on non-training days, and then supplement with our Keto Whey after your resistance training or anytime through the day you’re tempted to snack on something unhealthy and full of empty calories.